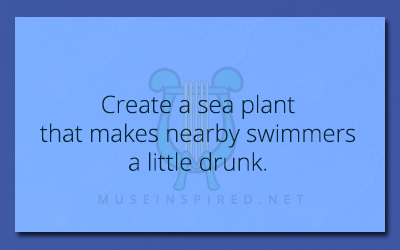 Fabricating Flora – Create a sea plant that makes nearby swimmers a little drunk. Fabricating Flora - Create a gourd used for ceremonial purposes. Fabricating Flora - Create a winter rose. Fabricating Flora - Create a vine that grows best around calderas.